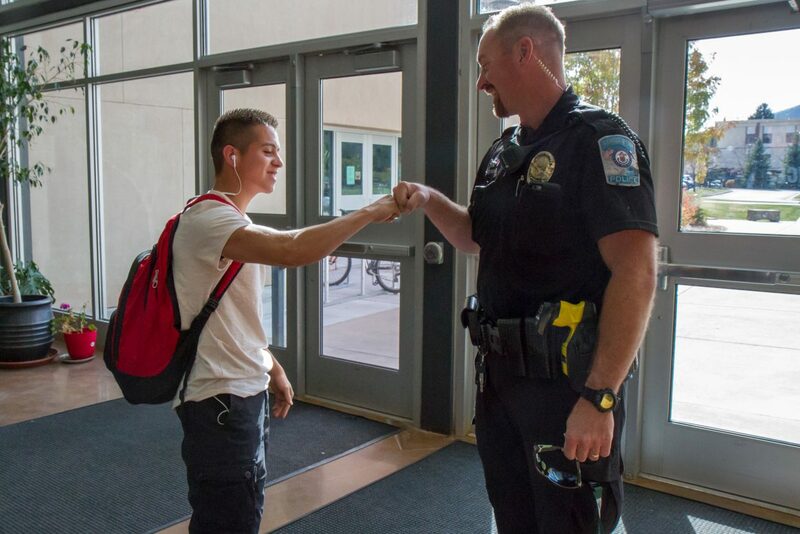 Officer Dietrich and Glenwood Springs High School senior Bryan Palacios hang out and chat at the school during the lunch hour. 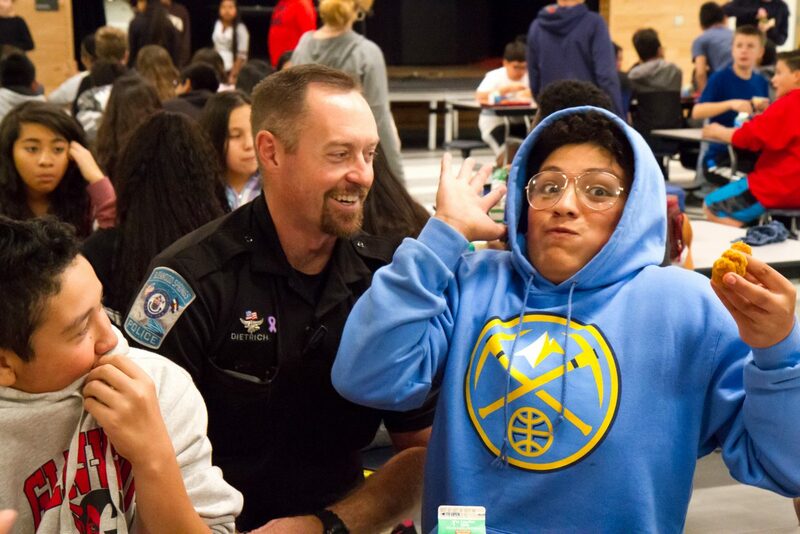 Officer Dietrich hangs out with Brian Aguilar Guzman and Jesus Segovia during the lunch hour at Glenwood Springs Middle School. 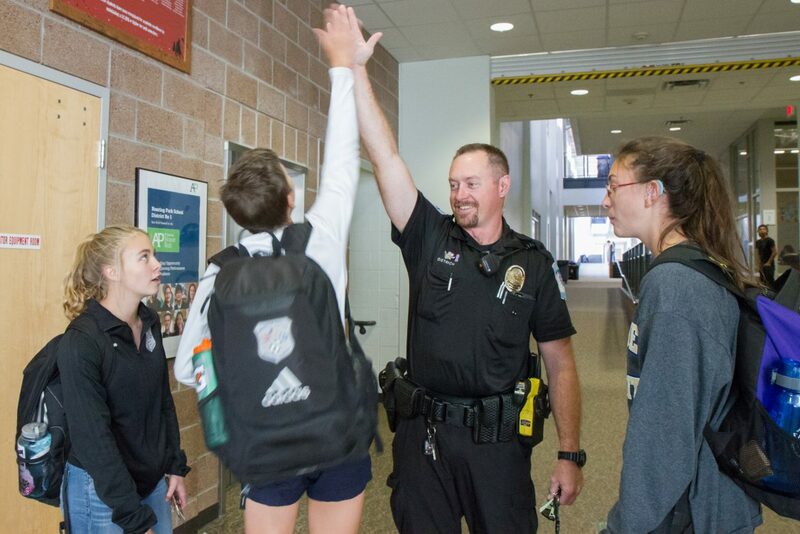 Autom Boyden and Macy Wilson give Officer Dietrich a hug in the hallway at Glenwood Springs Middle School. 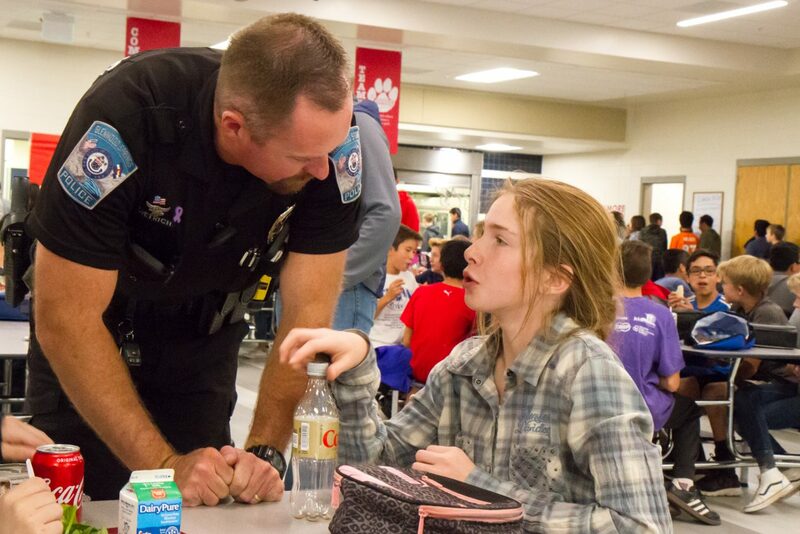 Officer Dietrich talks with Glenwood Springs Middle School student Ariana Griffiths during the lunch break at the school. 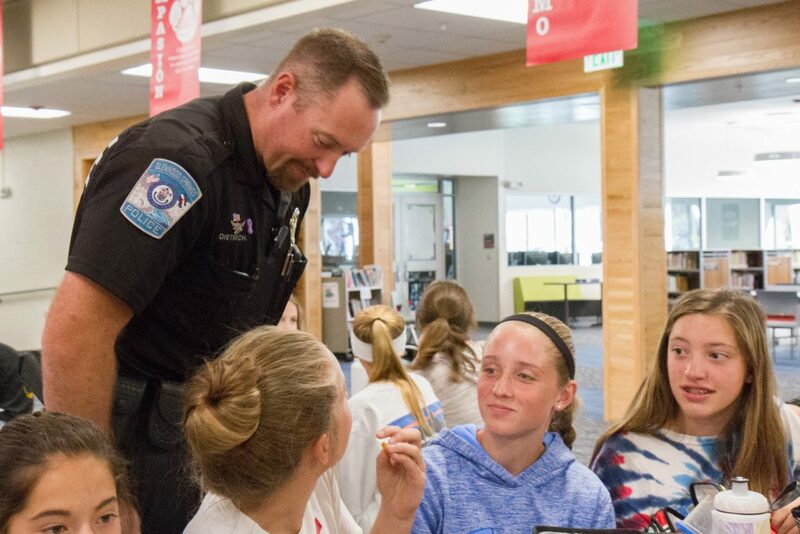 Officer Dietrich hangs out and talks with students during the lunch break at Glenwood Springs Middle School. 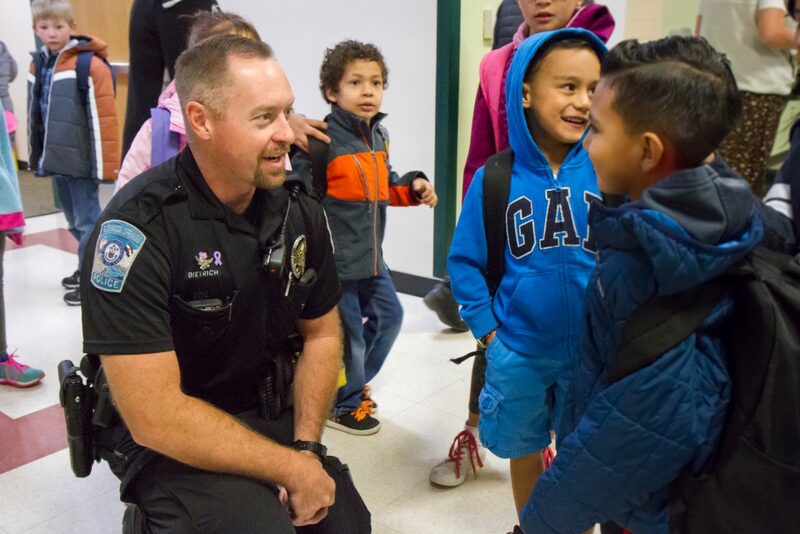 Officer Dietrich greets the students at Sopris Elementary as they start a new day at school. 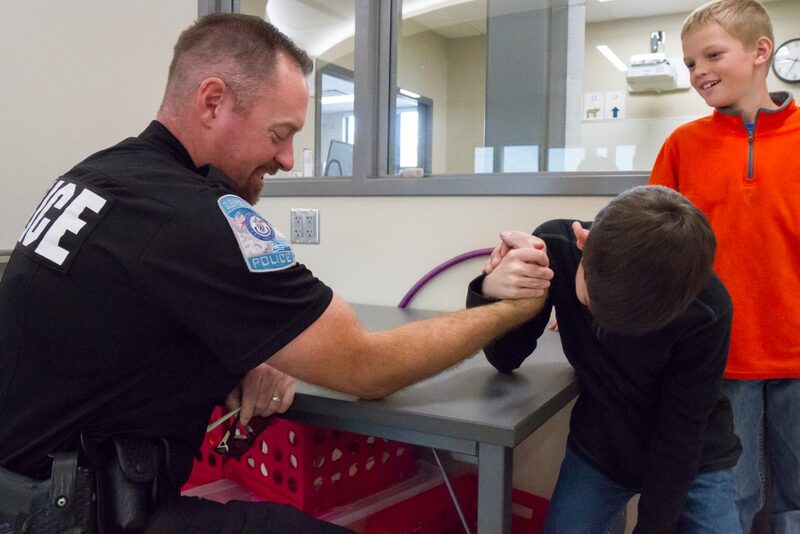 Officer Dietrich arm wrestles with students at Glenwood Springs Elementary School. 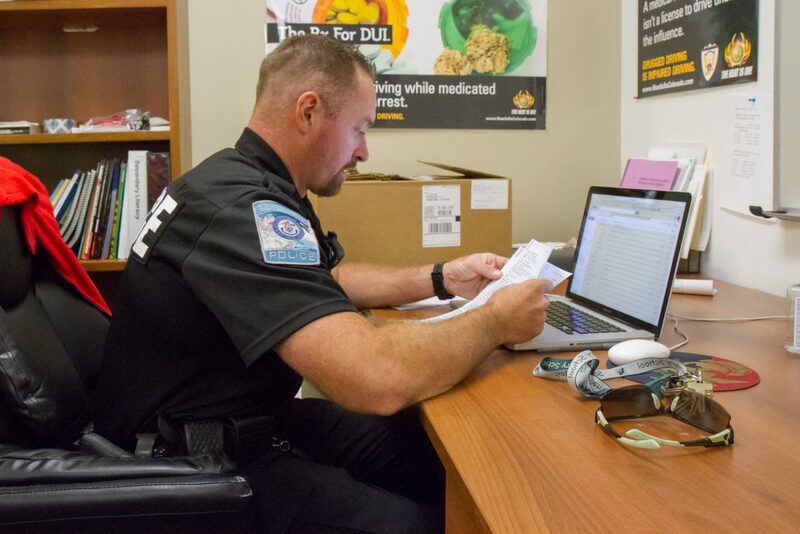 Officer Dietrich reads through Safe2Tell reports at the high school. Safe2Tell is a system the schools are using where students and parents can anonymously report anything that concerns or threatens them, their friends, family or community. 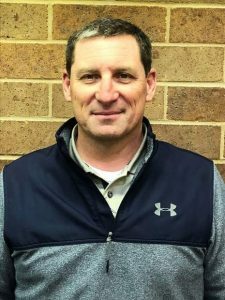 The number and information for Safe2Tell is on the back of each student ID. Officer Dietrich interacts with students at Glenwood Springs High School. 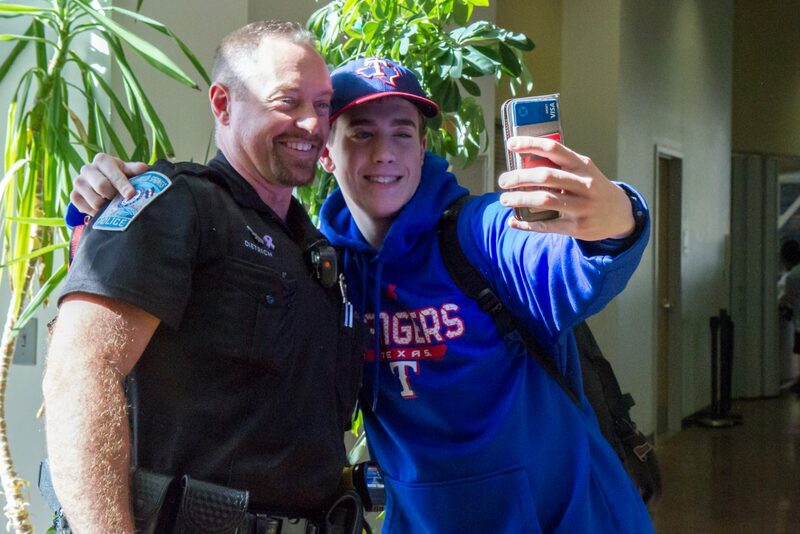 Officer Dietrich takes a selfie with Glenwood Springs High School senior Christopher Deaton during the lunch hour at the school.